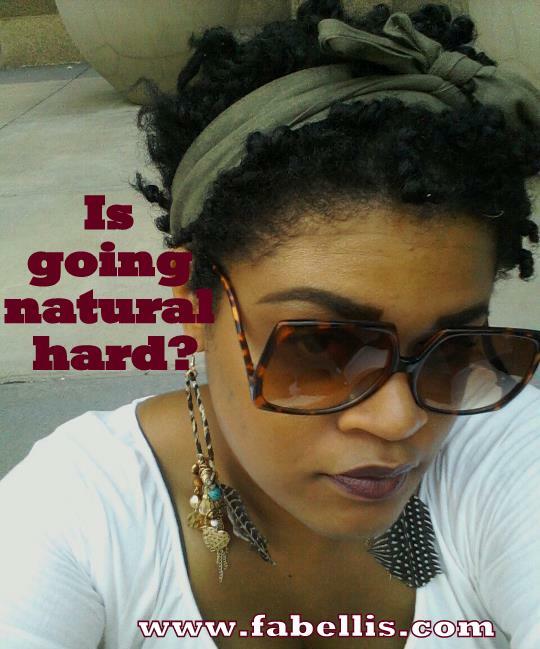 Natural Hair | Is Going Natural Hard? Today's post may be a bit different than my typical natural hair posts, but it has been a question that has been swirling around in my mind for quite some time. Is going natural hard? Is it a hard process? Everyone's experience with going natural is going to be different; however, the question came from seeing women I know discussing it on Facebook. The common consensus was that it was a hard experience; however, the intensity of the process they described was far more than I'd ever felt. When I decided to go natural in October 2009, it was a strange experience and quite frankly, one I never imagined being in. After being natural for over 20 years, I never imagined a keratin treatment would cause me to have to transition back to natural hair. When I realized the only way my hair would return to its natural state would be to grow the keratin treatment out, I felt strange and perhaps even sad. I just knew that I had to do this to get back to where I was. 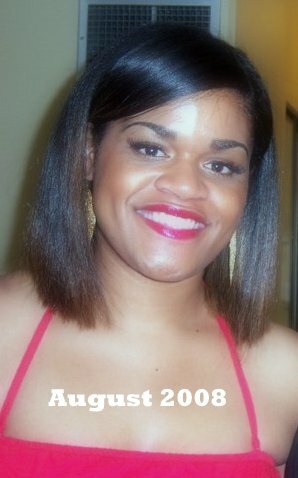 After transitioning for five months, I decided to do the big chop in February 2010. I personally couldn't handle the two textures. I was so nervous. I had never had short hair, but again, I knew this was what I had to do. I ended up loving and rocking my short cut! I have been natural ever since. When I see women expressing how hard it is to go natural, I can understand. Cutting my hair gave me great anxiety! No one wants to transition or possibly cut their hair! The extent I see some women discuss it though concerns me. Going natural to some women I've seen online seems to be a life or death situation. I've seen women express that the process is overrated or just too hard. Going natural does require a great deal of patience, but to me, it wasn't life or death. Perhaps my being natural before has caused this thinking for me. I would like to think that quite frankly if you make up your mind to do something, you do your research, you accept it and just go through with it. Decide if this is truly what you want to do. 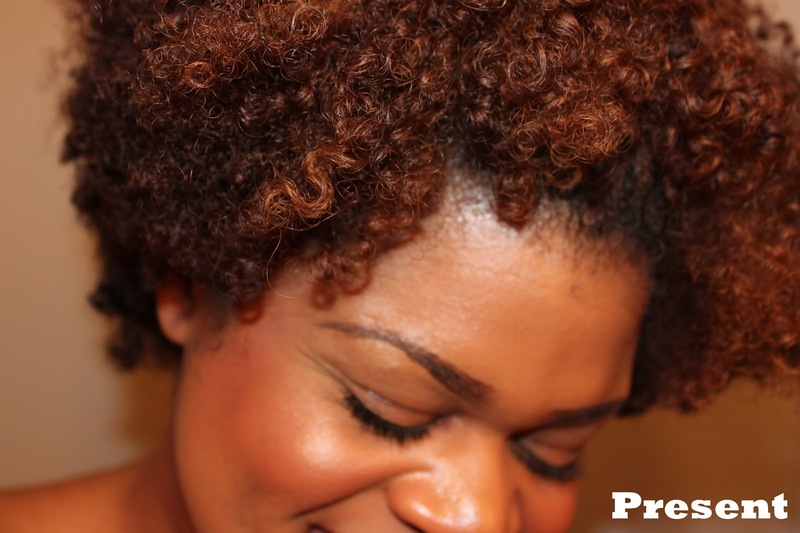 Going natural is beautiful, but does require patience. Consult with a beautician prior to transitioning or doing the big chop. A beautician can survey the health of your hair as well as give guidance in the process. Be prepared for trial and error. Don't focus on others' hair or opinions. Go into it with an open mind and love who you are! Is going natural hard? Was it a hard process for you? I think once you've made up your mind it's not hard. My decision to big chop was as simple as me no longer wanting to detangle two textures of hair. I transitioned for a year prior to my big chop and I was dreading my wash day as a sat at work on a Friday. I said to myself I'm just gonna cut my relaxed ends when I get home and that's exactly what I did. Easy peasy, lol. I do agree that there is much anxiety that comes with deciding to go natural which is probably fear of the unknown. On the other hand it could be fear of criticism as well. I think it really depends on who you ask. Having the proper knowledge on how to go natural, a great support system and even your age may be huge factors on whether the journey will be smooth sailing or filled with defeat. I tripped and fell into going natural but all my failures allowed me to find out what was important to me and how to properly manage my hair. Look, we didn't instantly learn how to manage relaxed hair yet many feel we must be able to do that with natural hair. It takes TIME to master this beautiful hair we have so patience is vital and having correct information is even more important. I"m so glad there are more and more naturals willing to share their journey through vlogs, blogs, books and word of mouth. All of that makes it easier for the newly naturals and help ensure this is more than a passing trend. Great post. The drama is so funny, I went natural because I had never been given the choice or knew what natural even was. And then I found out I could live my life with no relaxer and grow out my edges and it was a done deal. Sure, it takes some getting used to but the versatility and truth of the curl makes it worth it. Thank God I found natural forums online on YouTube! I don't think it's difficult; usually, the difficulty lies in deciding you want to bc and yet don't want to loose your length. For transitioning, you think of the long period it will take to grow the hair to your appreciable length. I think it can be difficult if you've always known relaxed hair and you transition or BC and all of a sudden you have a completely new texture to learn. The natural market is SO saturated with "guru's" with the hair rules, the do's and don't' and it can be extremely overwhelming sifting through everyone's opinion to find what works for you and your hair. In addition, you will hear the opinions of the people around you and it may not always be nice. I've been natural for 1.5 years and it took me a long time to learn that my hair is completely different than that natural chick next to me - and while she may run down the list of her routine and her simple products it may not work for my hair and my hair probably won't yield the same results. I think learning to love your natural hair as it grows from your scalp is key and patience goes a long way too. At first I thought it was easy, then I had to cut my hair twice because of breakage. My hair is so fine so I have to do things a bit differently than a person with coarser hair (which I hated at first). It's been a process but I think it's for the better. I love my hair! I do not find it easy at all! I get to the point that I want to cut my hair and than there are times that I love it...smh. I have fine hair and it takes more work to get it looking full and to have definition. It is definitely not for the faint at heart. On the other hand it looks healthy and has grown. It has been 5yrs for me and I will never get another perm. I do flat iron it about 3 or 4 times a year. Great post! Patience and learning your options is key! It was okay for me. I had a lot of braids and weaves during transitioning. I had short hair and stuff so it wasn't much to grow out. It didn't take much for my trim the perm only up top because it was longer. Since I tend to wear braids and things it's not that hard for me.